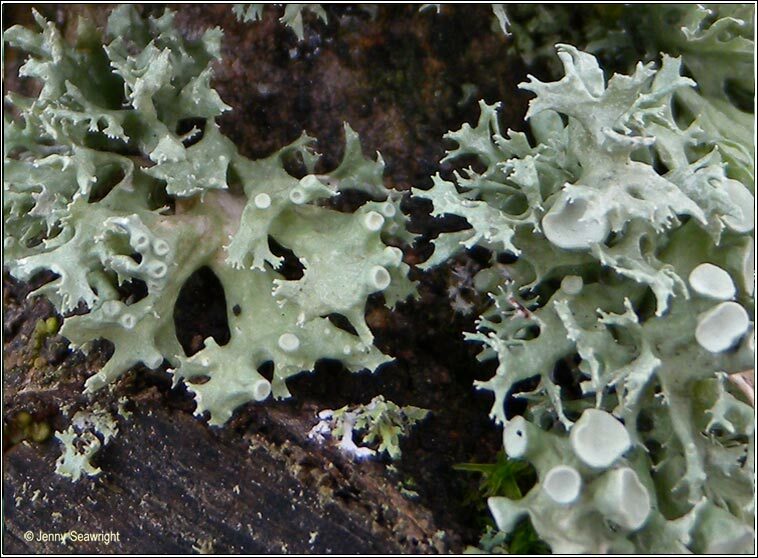 Tufted, erect, grey-green thallus with many wrinkled, often +/- swollen lobes. 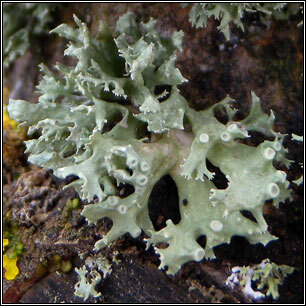 Very fertile with creamy-white apical apothecia. 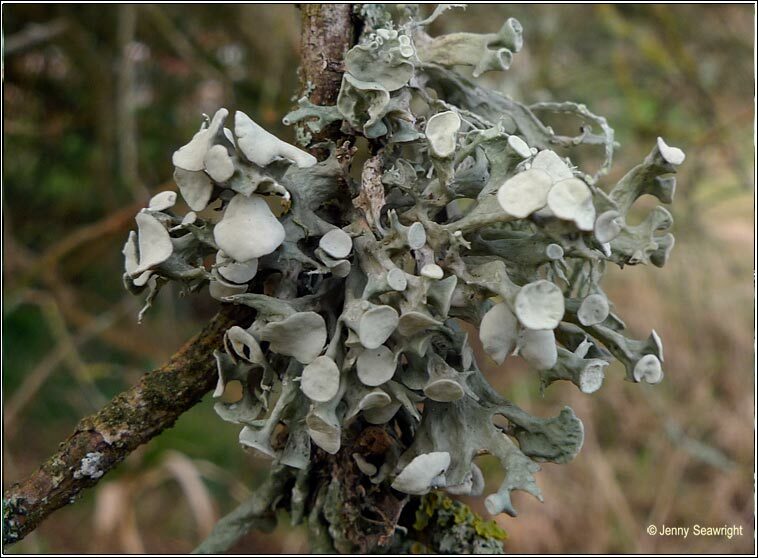 Common throughout Ireland on well-lit, nutrient-rich bark.